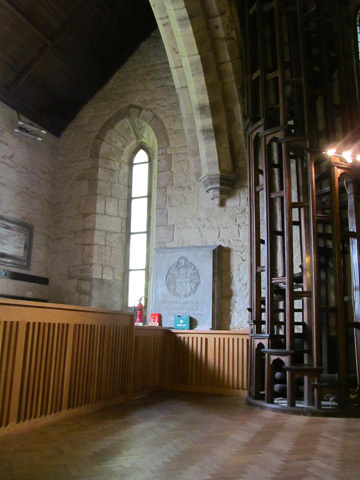 Holy Cross Church in Ryton was founded in 1220 and is Listed Grade I. 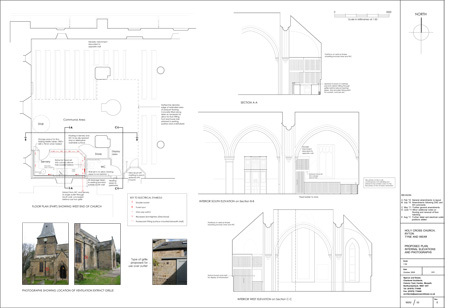 Having decided that existing visitor facilities within the remote Church Hall were not adequate, and having reviewed several options for the siting of new facilities, it was considered that a wheelchair accessible WC and open Servery area would be best located in the South-West corner of the Nave. The creation of a communal area here has brought new life to a rather underused area of the Church and has taken full advantage of the light offered by the largely clear glazing of the window at the West end of the South elevation. The restoration of 1877-1886 introduced a lot of fine joinery into the interior of this Church, including the unusual spiral staircase described by Pevsner as “an example of how courageous new work can improve even a venerable building of the C13.” This has been made more visible by the removal of the largely dormant pews in this corner. It was agreed that the new work should be contemporary in appearance, as the joinery of the nineteenth century restoration had been, and at the same time considerate to the beauty and integrity of the existing interior; an approach supported by English Heritage, The Society for the Protection of Ancient Buildings and The Victorian Society, all of whom were consulted over the course of this project. 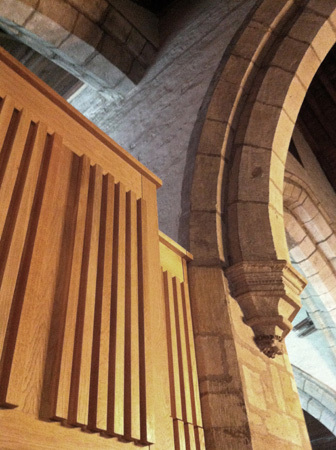 As a Grade I listed Church, our approach was one of reverence to the existing fabric, touching as lightly as possible and only where required. 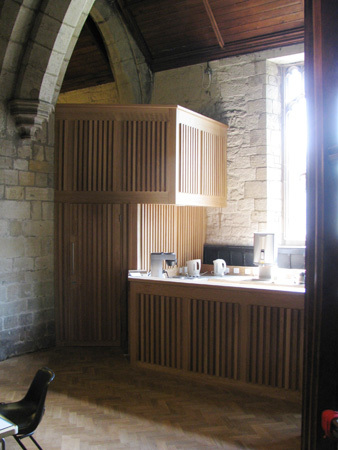 We understand from the Church that the reordering works have been extremely successful in supporting their work with the congregation and wider community.